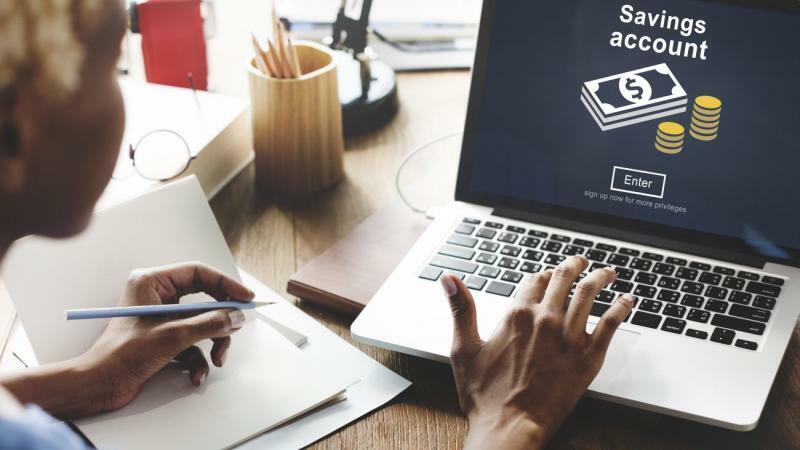 Whether you have $100 or $100,000 in savings, money market accounts offer respectable interest rates, complete liquidity and the security of federal deposit insurance. MMAs are an intermediate option between a conventional bank account and a certificate of deposit.1 Like other savings accounts, most MMAs offer check-writing capabilities, ATM access and up to six monthly withdrawals. Interest rates are comparable to a short-term CD, but you don’t have to make a multi-year commitment or face early-withdrawal penalties. If these features appeal to you, check out these signup bonuses to grow your savings even faster. These days, TIAA doesn’t only serve teachers. The company’s two divisions provide a variety of banking and investment products to individuals across the United States. With the TIAA Bank Yield Pledge Money Market Account2, new customers earn 1.8 percent interest for the first year. After that, you’ll earn at least 1.1 percent annually depending on your balance. The minimum opening deposit for this offer is $5,000 with a $250,000 ceiling. However, there’s no monthly fee, and TIAA Bank will reimburse you for up to $15 in monthly ATM surcharges. Since this account is part of the brand’s Yield Pledge lineup, your rates are guaranteed to stay within the top five percent of similar accounts based on data from Bankrate.com. Plus, this account is also available as an IRA. The Capital One 360 Money Market Account3 offers a solid APY of 1.85 percent on balances over $10,000. On top of that, new account holders can qualify for generous signup bonuses. With a $10,000 deposit, you can claim a $200 bonus using the code OFFER200.4 This promotion is open to new account holders who make qualifying deposits before December 14, 2018. Despite the attractive bonus, this account has some limitations. There are no fees, but there aren’t any frills either. The best rates are reserved for customers with at least $10,000 in savings. For smaller balances, yields drop to 0.8 percent, which makes Capital One’s 360 Savings a better choice. Also, this account doesn’t come with checks or an ATM card, so you’ll have to stick with online or mobile banking. New U.S. Bank customers can earn a $100 bonus by signing up for a Silver Checking Package and Package Money Market Savings Account. Once you’re an account holder, you have 90 days to enroll in U.S. Bank’s START Smart savings program.5 When your money market balance reaches $500, you’ll receive a $50 reward. You’ll earn another $50 in the form of one percent cash back on gas and grocery purchases for the first year. The Package Money Market Savings Account offers interest rates between 0.04 and 0.75 percent. Additionally, qualifying checking accounts are subject to monthly service charges that range from $8.95 to $12.95, but these fees are waived if you maintain a certain balance. Although there are some drawbacks, the minimum deposit is just $25. In the past, U.S. Bank has distributed more generous signup bonuses to preselected customers, but this is one of the better promotions available to consumers who have smaller savings balances. Recently, Citi has launched aggressive promotions to attract new customers. To qualify for these lucrative bonuses, you must sign up for the Citibank Account Package, which includes personal checking, savings and money market accounts. With an opening deposit between $15,000 and $50,000, you’ll earn a cash bonus of $4006 or $6007. If you make two direct deposits in the first 60 days, you’ll receive an extra $100 reward with either offer. The BBVA Compass ClearChoice Money Market Account9 has competitive interest rates for the first year. This offer is available to new and existing BBVA customers as long as the funds come from a different bank. Account holders can earn 1.8 percent interest annually on all balances for the first 12 months. A minimum opening deposit of $25 is all that’s required. After 12 months, interest rates dip below 0.15 percent. Although this account is subject to a $15 monthly service charge, you can avoid it easily by establishing an automatic savings plan of at least $25 per month, but the funds must come from a BBVA checking account. Alternatively, there’s no service charge if you maintain a minimum daily balance of $10,000. BBVA Compass offers mobile, online and ATM banking with its ClearChoice Money Market Account. Promotional offers are a fast and easy way to grow your savings, but they’re not always the best option. Only a few companies can afford to give out bonuses on money market accounts without reducing annual yields. The majority of banks choose to attract new customers by offering more interest than their competitors. That’s why you’re sometimes better off skipping the special deals and selecting a bank that will give you a better nonpromotional rate year after year. Remember that money market accounts aren’t the only option for safeguarding your savings. You should also consider high-yield savings accounts that offer ongoing interest rates as high as two percent. CDs are another alternative if you don’t plan on accessing your savings in the next three to five years. Whether you’re interested in a money market account or a CD, many national banks currently have generous promos for new customers. A few minutes of research could add several hundred dollars to your savings.